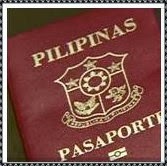 "MANILA - Filipinos are urged to apply for the e-Passport before their green or maroon passports expire, the Department of Foreign Affairs said. The e-Passport, which first issued in 2009, has the logo of a microchip just below the cover. "In these instances, proof of urgency such as a copy of the death certificate, medical certificate, valid employment contracts processed by the Philippine Overseas Employment Administration (POEA) or any of the Philippine Overseas Labor Offices (POLO), along with plane tickets with confirmed flight details should be presented," the DFA said."